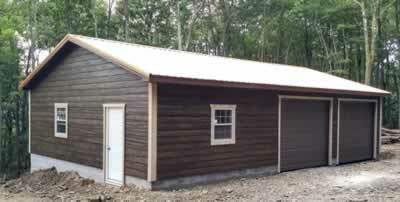 Onsite Garages are built on concrete and block foundations. 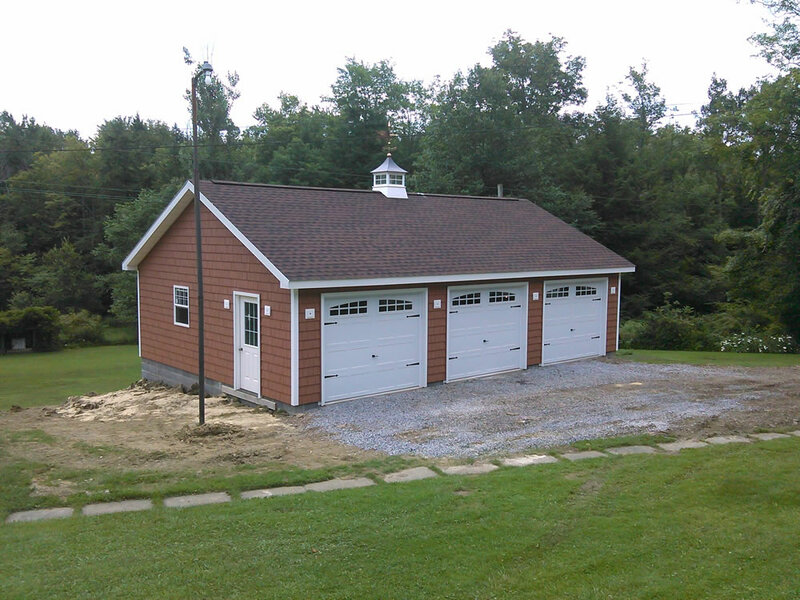 2 garage doors and entrance door on 36' side. 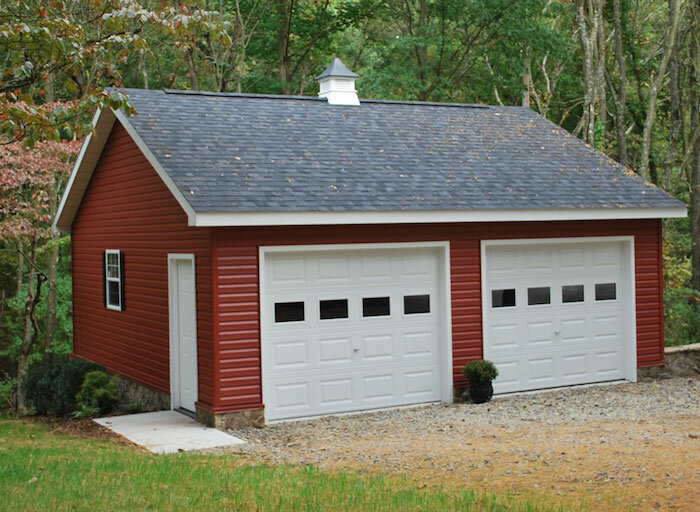 2 10x8 Garage doors upgraded to steel insulated carriage house doors with stockton inserts. 10x8 doors standard. 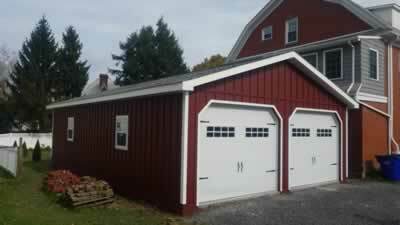 Upgrade to steel backed carriage house doors with glass $400 per door. 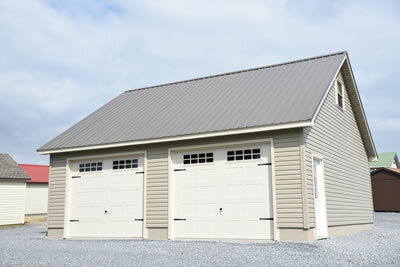 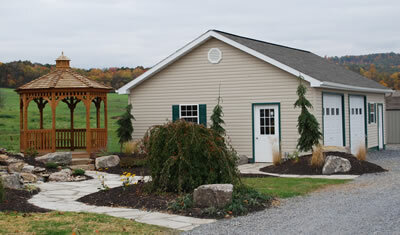 Customize your onsite garages with custom doors, siding and other options.